Today there are many options for home comfort control. 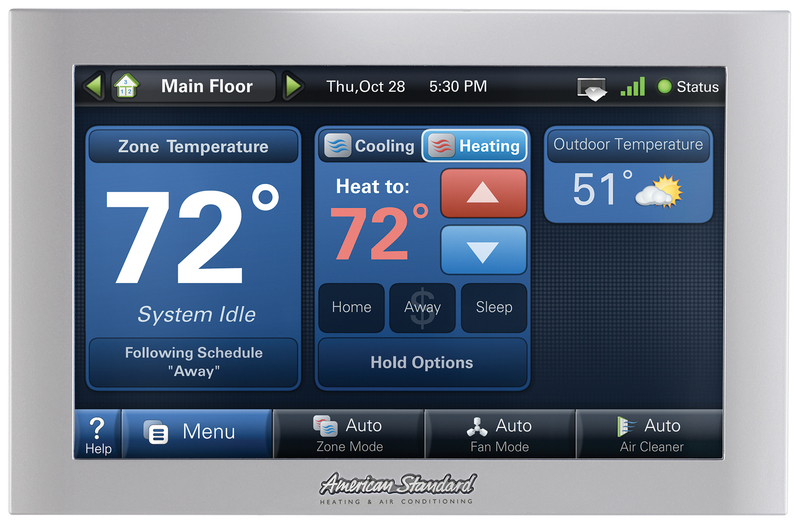 Almost all thermostats today have a digital display, many of which are touch screen. Programmable thermostats have become simple to program and internet enabled thermostats that use your home’s WiFi connection to allow for remote access have become the “must have” device for the modern home. At B&B we have the lake’s largest interactive thermostat display with a wide variety of options for your home or business. It doesn’t matter whether you want a basic thermostat or you are looking for the latest technology to satisfy your inner techie, we have the control for you.